The famous PRODUCE 101 China survival show (Chuangzao 创造 101) has announced their second season for male trainees. In 2019 the Chinese PRODUCE 101 series will air again after success with the first season of forming the girlgroup named Rocket Girls 101. Although it hasn't started yet, this Tencent China reality show has been rumored to be following the same footsteps as Korea's original PRODUCE 101 program for the third season are 'PRODUCE 48'. 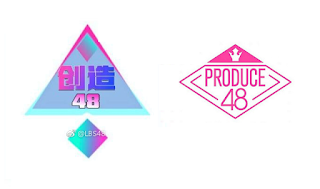 PRODUCE 48 is a large-scale project where Korean people "produce" a group where 12 members from 96 participants were Japanese (AKB48 GROUP members) and the rest are Korean entertainment company trainees. The event was a collaboration between the Produce 101 series and AKB48 Group. PRODUCE 48 successfully debuted IZ*ONE in 2018. According to Southern Shanghai Weekly, PRODUCE 48 China will be attended by 31 members from AKB48 GROUP including Team SH, Team TP and so Team GZ, Team BJ or Team CD only if they're formed and have members before the show start. Whereas trainees from China's own entertainment companies are more than 50 participants. The total participants were 81 people. This made 48 Group fans in China very surprised and very much looking forward to this' Chuangzao 48'. Fans also hope members outside of Japan's 48 Groups can participate in this event. Rumors say all trainees will be announced no later than January 2020.